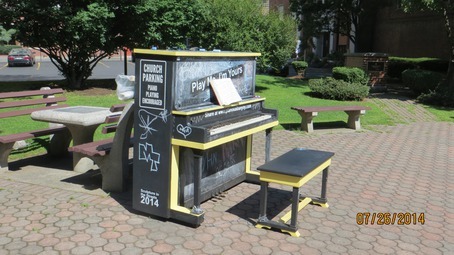 The ”Park & Play” piano was decorated by First Church in Albany and is sponsored by City of Albany. I couldn't have said it better myself! I don't want them to leave!!! You are never to young to start thinking & playing around a piano. 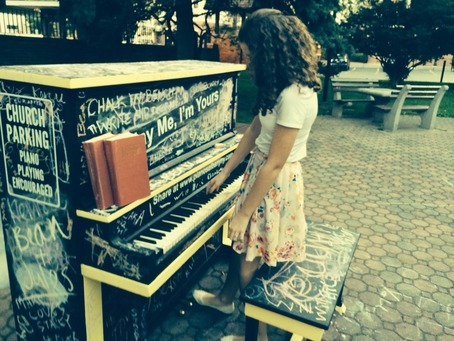 It does say "Play Me, I'm Yours" right on the piano! Such a cool idea!!! Shout out to my friend Brian Kane for playing songs for me!! Do the summer days get any better than these?! Fantastic lunchtime music.You can stop by anytime! 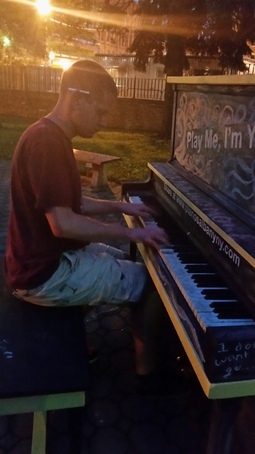 What you might NOT expect to hear from a piano next to First Church or would you?! 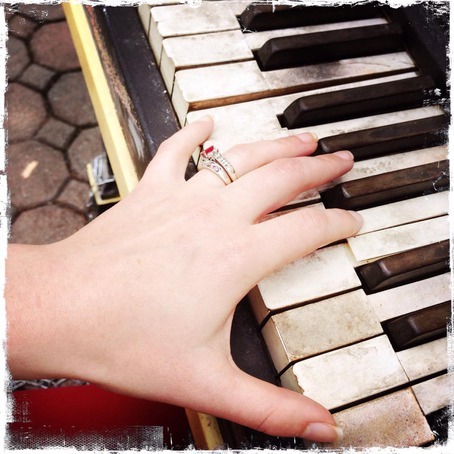 What you might expect to hear from a piano next to First Church. What a wonderful exhibit! 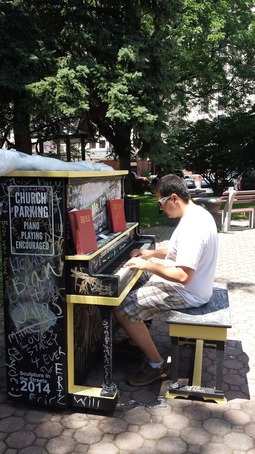 It was so cool to run into these pianos downtown.